Trinity is a band formed by 4 young talented musicians from The Netherlands. Three of the band members, the Smelt brothers, spent their childhood in Peru. Their South American up-tempo musical roots together with their love for Celtic music are the ingredients of Trinity's passionate pop songs. Their debut album ‘Inicio’ (which means beginning) was released in October of 2007 and was received very well by their audience. 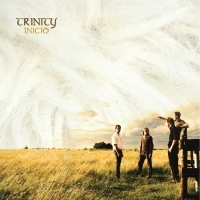 ‘Inicio’ contains some songs that they have sung since childhood, but also songs that inspired them. Familiar songs like “Wayfaring Stranger” and Matt Redman’s “Mission’s Flame” are rearranged with the unique Trinity sound.